Introducing the camo coloured Oxford Aquatex cover, keep your bike protected with this stylish cover all year round. 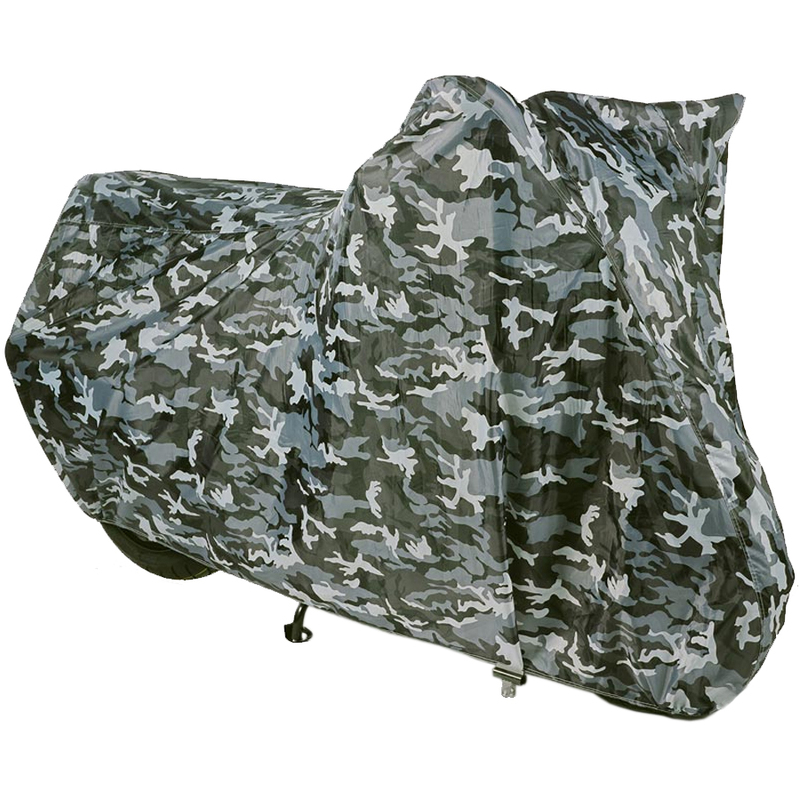 Made from a tough camouflaged material meant to let the air circulate while shielding your bike from the weather. 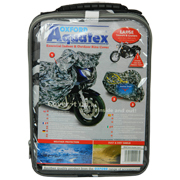 For extra security there is also an adjustable belly strap for a firmer fit. 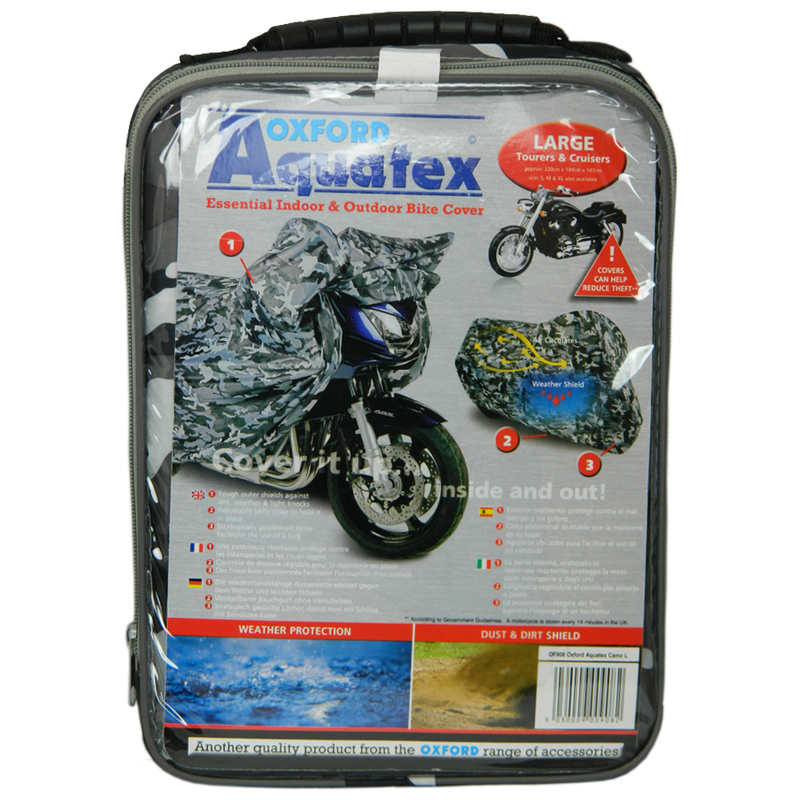 Try our oxford camo cover now and protect your bike in style.